Magento 2 Payment Restriction by Mageplaza is a supportive tool which helps store owners to restrict the use of payment methods based on specific conditions such as store views, customer groups, countries/states, product attributes and more. 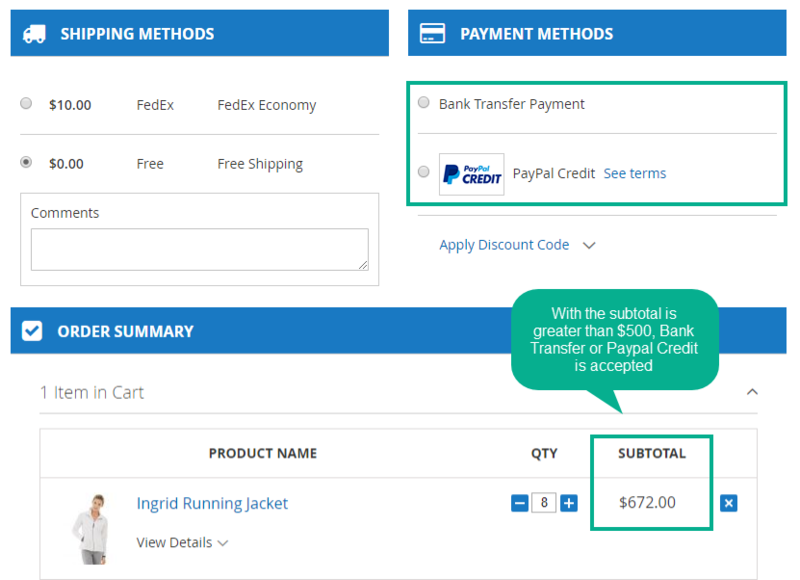 For some orders with high value cart total, admin can set the specific payment methods for that to assure that they will receive the money without any troubles. To illustrate, let take a look at the jewelry industry, most of the items purchased are high value items, which require stores’ owners to be truly careful with the payment. If they do not give an eye to this, they may get in big loss for their business. 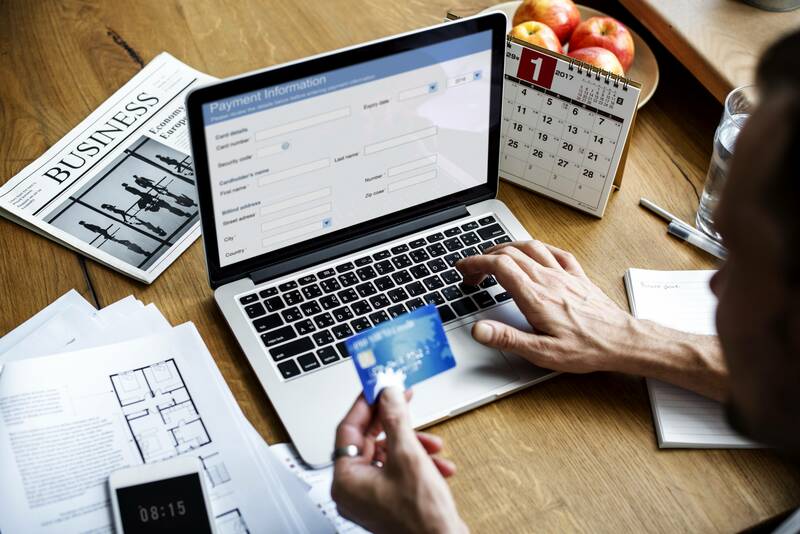 Another application of payment restriction is that admins can apply restrictions based on order information to create various payment conditions for your clients. For illustration, you can disable ‘check/money order’ method for cheap items or products of a particular material. Thanks to this, you can control your revenue by deciding payment restrictions for certain products based on their attributes. For example, you can disable PayPal for items in a particular category, by some manufacture or at a specific price. For several countries, there are some payment methods which are not used. 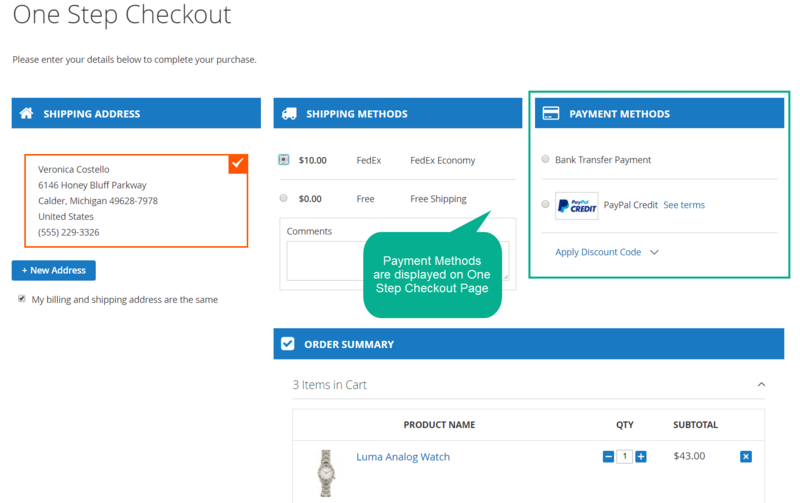 Therefore the store owners would like to remove these methods in checkout page in order to prevent the customers from being confused. Payment restriction is especially crucial to multi-national stores. Payment also needs to be varied by customer groups. Since one e-store can have transactions with different customer types, they need to treat them separately to make full use of the customer segmentation. To be more clear, admins can restrict not logged in customers of the COD payment methods, whereas allowing other individual logged-in buyers to receive their items then pay money. Besides, for wholesalers, since they purchase a considerable amount of products, online stores need to offer them Bank transfer method only. This will help sellers flexibly manage their order and payment efficiently. Since online stores often offer buyers multiple shipping methods, allowing the suitable payment for certain shipping approaches is truly helpful for better sales management. Store owners, by this, can balance the shipping cost charged by the third parties and the risky possibilities of the customer’ orders. For instance, if customers select FedEx shipping method, they are required to pay via Bank Transfer. Otherwise, for free shipping, customers can choose Cash on Delivery payment. Moreover, admin can restrict the payment methods based on orders’ information. The price of a product is stronly determined by its attributes such as the material, the style, the quantity, etc. Thus, to prevent risky possibilities of orders (like abandoned carts), store owners would like to set payment restriction based on the attributes of items. To illustrate, an accessories shop selling a limited-edition bag made from rare material requires buyers to pay via Bank Transfer Payment and does not accept Cash on Delivery. This will help shop owners manage their sales more securely and effectively. Admins also can choose to apply each restriction rule for payment for Frontend Orders, Backend Orders or both of them. This is an outstanding feature of Payment Restriction. 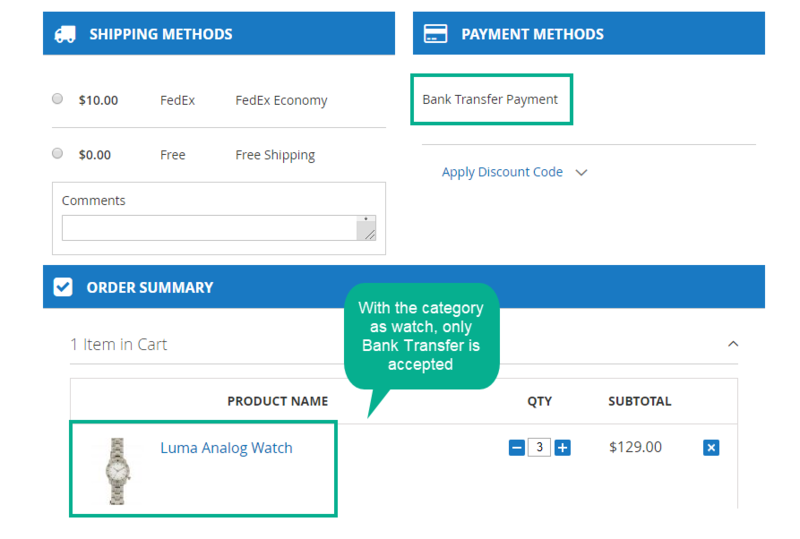 At the frontend, certain payment methods can be displayed on Minicart, View Cart Page, and Checkout Page. Regarding this, the module is fully compatible with Mageplaza One Step Checkout. At the bottom of the spectrum, for special orders (with very high value or from special customers) which store owners would like to set the rule for these orders only visible from the backend, Payment Restriction module can assist well. Payment restriction for Magento 2 helps online stores get rid of unexpected payment issues and boost the effectiveness of the payment process. If your store is offering various kinds of payment, keep this module in mind as a comprehensive solution.